We provide our clients with nursery shade net that cover agricultural lands & nurseries, and protect them from ultra violet rays and other harsh weather conditions. These shade nets can be used to adjust the light and temperature around the cultivation area to aid healthy growth of the plants. Protective net: the protective net is used for, protect the new built building from pollution like dust help to protect plants from heavy sun shade and rains, protect well water from spoiling by unwanted things like leaves, papers etc. 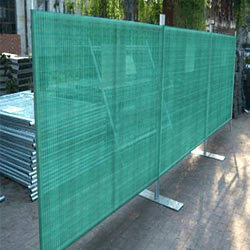 We provide high efficiency Shade Net that is highly appreciated in the national and international markets. 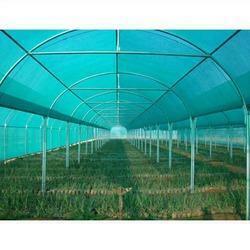 Our Shading Net is supplier from the superior quality raw materials as per the stringent quality norms. 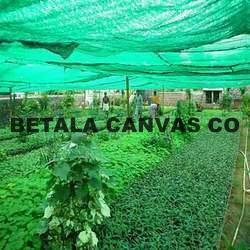 Black Shade Net provided by us is available in various sizes and can be customized as per the needs of the clients. Highly durable, our Black Shade Net provides long lasting excellent performance without any maintenance cost. To cater to the diversified expectations of the clients, we are offering them an extensive gamut of Shade Houses. Furthermore, we are offering Retractable & Fixed Shade as well as Frost houses along with these products in order to serve our clients. We manufactured these products using top-grade raw material keeping in mind the exact specifications of the clients. All these products are comprehensively tested on varied parameters under the surveillance of our diligent professionals. At our clients' end, these products houses can be re-constructed to minimize their investment. 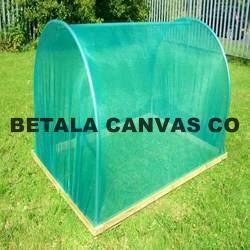 We have an extensive range of Green Shade Nets in store to provide to the clients. Owing to our quality-centric approach, we manufactured these products with ultra-grade polymers to ensure their compliance with international standards. All these products are tested under the surveillance of our diligent professionals so as to ensure their excellent performance at the clients end. 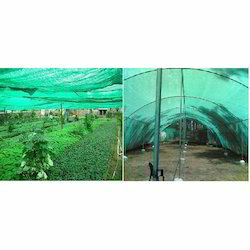 Whole sale shade net supplier: we offered our clients agro net and offering to our client a wide range of agricultural shades nets as per the requirements given by them. 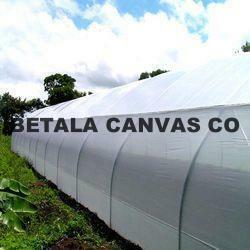 We offer a wide range of agricultural shade nets for agricultural lands, which are being used in different applications. Our product is manufacturer. We are counted amidst some of the reputed firms which are involved in manufacturing, supplying, exporting, distributing and wholesaling of a remarkable array of Plastic Shade Nets. These products are acclaimed for their excellent protection from the sunlight and UV rays. We manufactured these products making use of qualitative plastic which is sourced from the leading vendors. 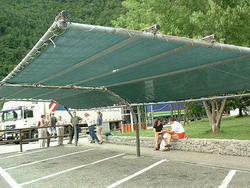 Looking for Shade Nets ?